Ali Ismael is a refugee. 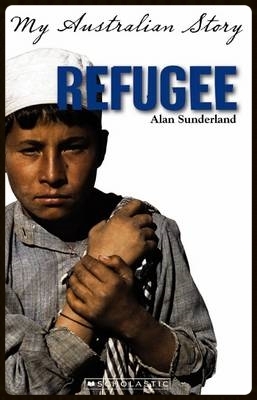 Fleeing persecution in Afghanistan, Ali is smuggled away from his family. He eventually finds himself on a ramshackle boat bound for Australia. But instead of winning freedom, Ali and his companions are taken to a detention centre in the South Australian outback. For 12 long months, as he waits to find out whether he will be allowed to stay, Ali must endure the hardship and despair of mandatory detention. He briefly experiences life outside the razor-wire fences of Woomera - but all too soon he must return, to await his fate. You can find Teacher's Notes for this book here. Check out the "Goodreads" reviews here.